Quark, a techno-management festival of BITS Pilani Goa, is known for showcasing the greatest innovations seen in the fields of science and technology and hosting many distinguished scientists, entrepreneurs, and world leaders. 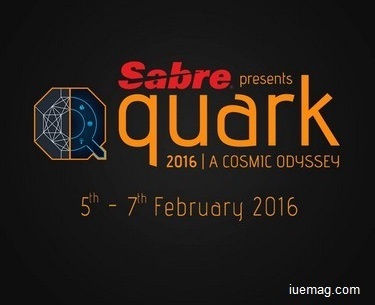 Quark has set itself apart, boasting a line-up of events, guest lectures, workshops, and special nights that gets bigger and better every year. This year, Quark will once again provide a platform for the brightest minds from across the country toshowcase their skills by taking part in events under various exciting panels. Corporate panel events like WallStreet and Bluechip Beatdown are a chance for budding entrepreneurs to show off their marketing, management, and finance skills. Contraption and Burnout are a few of the Design and Build panel events that call for innovativedesign and engineering to build winning machines. With events including a MATLAB quiz and analog design problems, electrical and electronics enthusiasts will feel at home in the Electrify panel. The Elixir panel offers quizzes, spelling bees, treasure hunts, and more. The Initiatives panel events provide a platform for showcasing green ideas, offering technological solutions for social problems, and devising methods for dealing with disasters. Programming events, app designing, and hackathons test every coder's mettle in the Programming Inc. panel. Roboficial panel events such as RoboKombat are the ultimate chance to showcase robot designing capabilities. Paper presentations and science fairs are a few of the things in store in the Specials panel, which also includes gaming events and debates. In the past, Quark has had the pleasure of hosting notable personalities such as the former President of India, Dr. APJ Abdul Kalam, Nobel Laureates Sir Harold Kroto, Dr. John C. Mather, Dr. Robert F. Curl, and Prof Douglas Osheroff, eminent scientists such as Dr. Chris Phillips, Dr. Vic Hayes, and Dr. Walter Lewin, TV personalities including Ian Mc Elhinney, and many more. We look forward to seeing you actively participate in our festival and join us in this celebration of science and technology.